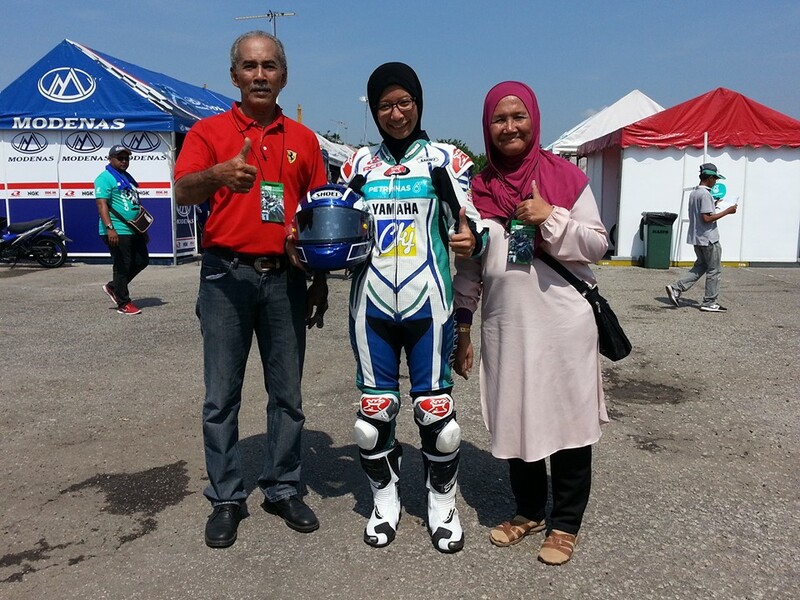 Out of 10 male riders Siti Fatimah Husna emerged victorious, a champion of the Malaysian Supermoto Championship CKD, despite being the only female racer competing and her young age of 25 years-old. 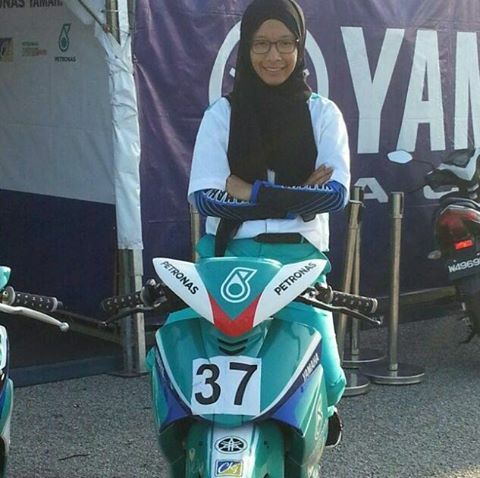 Siti is currently paret of the Club Prix Petronas Yamaha team, and took part in the Petronas Malaysian Club Prix held in Teluk Intan, Perak just recently in July. As if Siti couldn’t get more badass than she already is, she has the brains to boot as well by being a mechanical engineer in training. She credits two of her brothers, both also bikers, for igniting her passion in the sport. 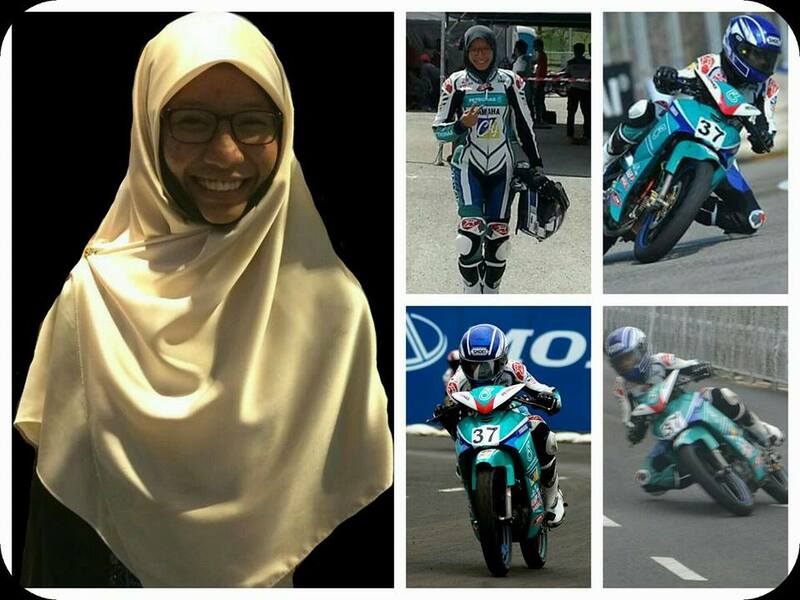 Sadly, it wasn’t Siti’s skills and brains that’s the attention of several netizens online: her figure-hugging racing suit instead has drawn flak from many critics after a collage was shared on Metafora Anafora, Siakap Keli and Oh! Media. Whilst there were many who praised the young lady for her accomplishments, there were some who criticised her racing-suit which was deemed inappropriate by said parties for being too figure-hugging for a Muslim woman. “Sports attire that is not appropriate for Muslim women… so join another sport that adheres to the appropriate dress code for Muslim women.” said one user. But, an overwhelming majority of good-hearted Malaysians stood up for Siti, and chided haters. They focused on her achievements, remarking how proud they were, instead of turning their attention to her body and attire. Moreover, many slammed her critics for their ignorance as racing suits were designed to protect racers from harm (i.e friction burns) should they get into any accidents on the racing track. The ‘loose clothing’ haters suggested she should wear instead could be a fatal clothing choice as loose clothing would get torn when a racer makes a sharp turn. 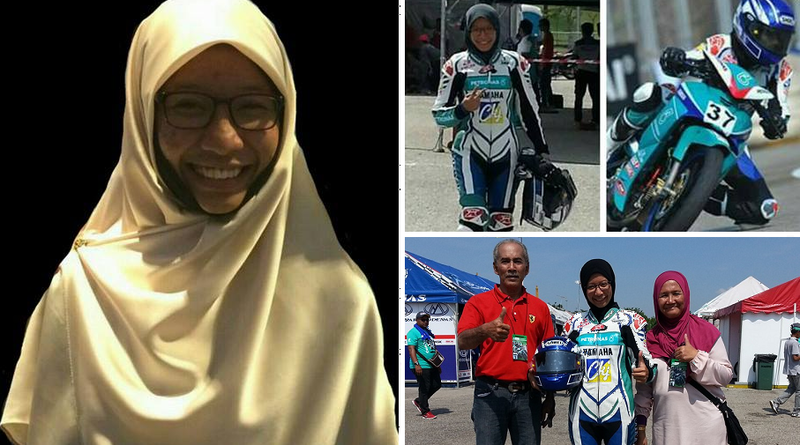 It would be truly sad if Siti’s potential and path to excellence was shut down because of her racing gear deemed ‘inappropriate’ from certain quarters. Malaysians should always support Malaysians! One can only imagine how hard it must’ve been for her to fight her way top being a female in an all-male sport. Forget them haters, and never loose faith in the humanity of good-hearted Malaysians Siti! You do you girl, and keep up with the good work!